What to do when a pledge is not coming in? Continued changes in our external and internal environments mean that we have to find creative ways to manage the ebb and flow of relationships. For various reasons commitments wane, deliveries delay, and support may waver. Always bear in mind that external environments change constantly and this is a (risk) factor organisations need to take into account. The external environment impacts supporters of your work as it does you. There are many reasons why support could be delayed, withdrawn, put on hold or redirected, e.g. restructuring within the organisation may impact decisions that were still in the process of being finalised; new decisions made at an executive level that may not be in the practitioners’ control; natural disasters may have occurred that potentially shift priorities, etc. 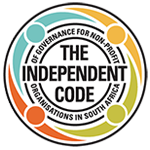 Try to ensure you have a memorandum of understanding or contract in place. This is something to consider, not as a way to hold stakeholders to ransom but more about ensuring that going forward, there is always something that allows you to engage with them around points of clarity. Find ways to keep yourself in the know: ask supporters to keep you abreast of developments within their organisations and find out if there are ways to check in with them regularly to ensure you’re continually informed (e.g. via newsletter subscriptions, or if there are preferred ways of direct contact depending on relationship). This becomes an excellent way to nurture your relationships while keeping you on the pulse regarding opportunities that may come up. Find ways to keep them in the know: part of relationship building is about showing each other how we are situated as non-profit organisations and what the realities and practicalities are. We should therefore ensure that as part of our messaging, we have a higher level response to challenges in the sector, and opinion editorials (op-eds), as an example, are a great way to achieve this. Using organisational change and shifts as points for communication becomes an excellent way of learning, establishes mutual trust, and shows organisational maturity – all key to strengthening key relationships with those in support of your work. 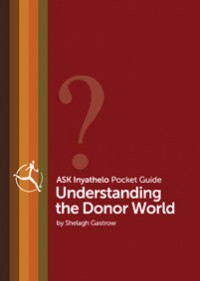 Download our pocket guide on Understanding the Donor World; this guide will help explain the donor world and support that may be available to non-profits in South Africa, and offers tips on how to raise awareness about your work while building relationships with potential supporters. PreviousEvergreen calendar: visit our offices to collect your copy!